By Paul A. Byrne, M.D. Aden is a 20-year-old college student who had abdominal pain on April 1, 2015. Exploratory surgery was done; her normal appendix was removed after finding no disease in her abdomen. As the surgery was ending, Aden's blood pressure and heart rate went down. Since then Aden has not awakened. She has been diagnosed as "brain dead," the doctors have related this to lack of oxygen. Aden continues to live on a ventilator with nutrition in a vein. The doctors at the Nevada hospital informed the family that the ventilator would be removed on July 2 at 5 PM. That afternoon a petition from the father was heard in Court. My testimony was that Aden is not truly dead. Aden has many signs of being alive although the doctors and hospital have been declaring that Aden is "brain dead" since the middle of April. Besides the findings that result in the doctors determining that Aden is "brain dead," laboratory tests show that Aden suffers from hypothyroidism. Aden needs life-saving and life preserving thyroid hormone, a tracheostomy (like patients on ventilator for a prolonged period), and a percutaneous endoscopic gastrostomy (PEG) tube to provide nutrition through her stomach. During the court proceedings the hospital administrator agreed to allow physician(s) licensed in Nevada, after the physician(s) has(have) been properly credentialed at their hospital, for that physician(s) to order (if he or she wishes) thyroid medication, a tracheostomy and gastrostomy. Having a tracheostomy and gastrostomy are necessary to facilitate transfer and care to a long term care facility or her home. If you are a physician licensed in Nevada and willing to evaluate this patient and participate in treating this patient, please contact me immediately. What happens after a determination of "brain death," is that the life preserving ventilator is continued until it is convenient to either remove the vital organs for transplantation or discontinue the ventilator. Both result in true death. Many physicians are participating in such determination and subsequent actions. Others are non-participants because these actions are not within the scope of their practice. The majority of people including physicians and lawyers know little or nothing about the issues of "brain death." Of the many who do know; it seems that they surmise that it is okay if physicians and lawyers are participating. Furthermore, most, possibly everyone, have some ideas, thoughts or a concept of death. When the term "brain death" is heard, many think or believe "brain death" to be true death. Everyone with a determination of "brain death" has a beating heart, circulation respiration and interdependent functioning of their heart, lungs, liver, kidneys, spleen, bone marrow and intestines, etc. "Brain dead" is applied to patients who are unconscious and not taking a breath on their own. While parts of the brain may not be showing evidence of activity or functionin,g it does not necessarily mean destruction of the entire brain much less true death of the person (Latin: mors vera). True death of the person comes after the ventilator is removed, or vital organs are cut out. There would not have been any difficulties if Aden's father would have succumbed to the recommendation of the physicians who declared Aden to be "brain dead." But it made no sense to Aden's father who realized his daughter was seriously ill, but not dead. The life supporting ventilator provides a breath for Aden every 5 seconds. Aden's heart beats about 100,000 times a day without a pacemaker or medications. Aden's father (also legal Guardian) directed doctors not to do an apnea test. Nevertheless, the apnea test was done. (The apnea test is not the more familiar test for sleep apnea.) When the apnea test was done, the life supporting ventilator was taken away from Aden for 10 minutes. This caused Aden's carbon dioxide to go skyhigh and caused severe acidosis. Every doctor knows that severe acidosis is not good for any patient. The apnea test will do nothing for the individual patient except possibly cause harm to their already injured brain. It is done in order to show that the brain centers that usually respond to higher levels of carbon dioxide are not functioning to initiate a breath and thereby allow doctors to make the diagnosis of "brain death." But in doing the test, elevated carbon dioxide and acidosis can cause the brain to swell even more and impair function even more. This test was not good for Aden. When she did not breathe on her own, it allowed the doctors to call her "brain dead." Once that diagnosis was made and the family was told that care would be discontinued, the father needed to go to court to fight to have the necessary care for his daughter. Furthermore in court, it was learned that am apnea test was done to Aden more than once. Realize that my objective is not to be against that hospital or those doctors. It is to be for Aden, her life and health. 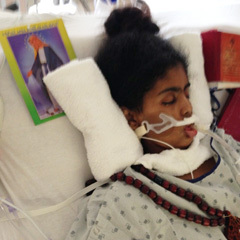 Aden, albeit with the diagnosis of "brain death," with a spontaneously beating heart, even if she needs a ventilator to breathe, is simply not truly dead! Perhaps treatment with thyroid medication, tracheostomy and PEG tube will protect and preserve her life. Abruptly taking away the ventilator very likely will result in her death. Probably many would be supportive of protecting and preserving Aden's life. Is there one physician licensed in Nevada who will come forward to try to help? © Paul A. Byrne, M.D. Dr. Paul A. Byrne is a Board Certified Neonatologist and Pediatrician. He is the Founder of the Neonatal Intensive Care Unit at SSM Cardinal Glennon Children's Medical Center in St. Louis, MO. He is Clinical Professor of Pediatrics at University of Toledo, College of Medicine. He is a member of the American Academy of Pediatrics and Fellowship of Catholic Scholars. Dr. Byrne is past-President of the Catholic Medical Association (USA), formerly Clinical Professor of Pediatrics at St. Louis University in St. Louis, MO and Creighton University in Omaha, NE. 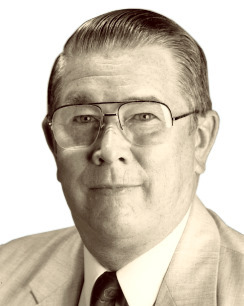 He was Professor of Pediatrics and Chairman of the Pediatric Department at Oral Roberts University School of Medicine and Chairman of the Ethics Committee of the City of Faith Medical and Research Center in Tulsa, OK. He is author and producer of the film "Continuum of Life" and author of the books "Life, Life Support and Death," "Beyond Brain Death," and "Is 'Brain Death' True Death?" Dr. Byrne has presented testimony on "life issues" to nine state legislatures beginning in 1967. He opposed Dr. Kevorkian on the television program "Cross-Fire." He has been interviewed on Good Morning America, public television in Japan and participated in the British Broadcasting Corporation Documentary "Are the Donors Really Dead?" Dr. Byrne has authored articles against euthanasia, abortion, and "brain death" in medical journals, law literature and lay press. Paul was married to Shirley for forty-eight years until she entered her eternal reward on Christmas 2005. They are the proud parents of twelve children and have thirty-five grandchildren and five great-grandchildren. Was death of Charlie Gard hastened?